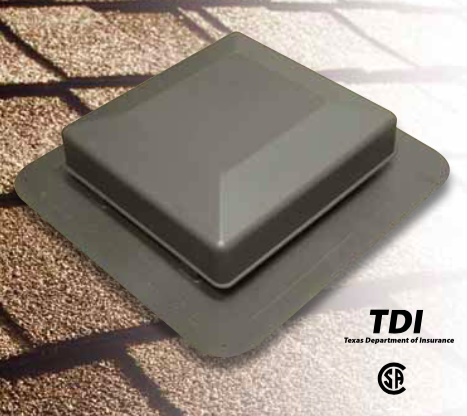 Roof vents play a vital role in the health of your roof system. They serve two main purposes, firstly, to remove Summer heat, and secondly, to remove Winter moisture. During the winter months, heat from your home can build up in the attic space. As it cools, it can become frosty inside the attic, which in turn condenses on warm spring days and can soak your insulation and ceilings. Stays active even in deep snow, keeping your attic free of moisture during winter months (Provided adequate soffit ventilation is present). It is possible that this type of vent can get buried under snow during winter months, at a time when it is most crucial to have good ventilation and air flow to prevent moisture build up. When selecting shingles that are boasting up to 30 years of use, choosing to install a roof vent that only has a 15 year warranty may not make sense. 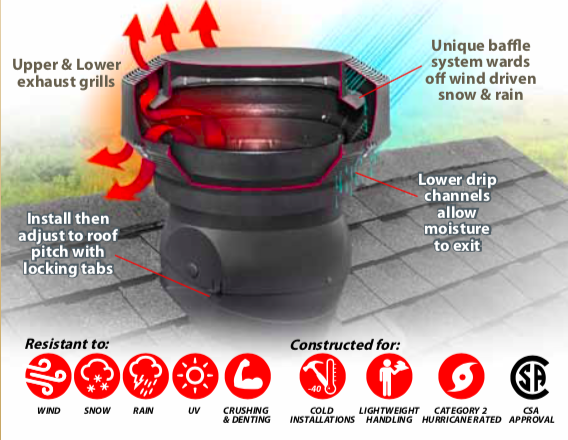 We suggest, for the most part, having Pro Turbo vents installed on your roof for Manitoba weather.